We finally found a home that will support live music, which was a huge aspect of our mission: to bring amazing bands to the stage. We start at our new home, Nola’s in the Arts District, on Saturday, July 20, and every 3rd Saturday of the month. 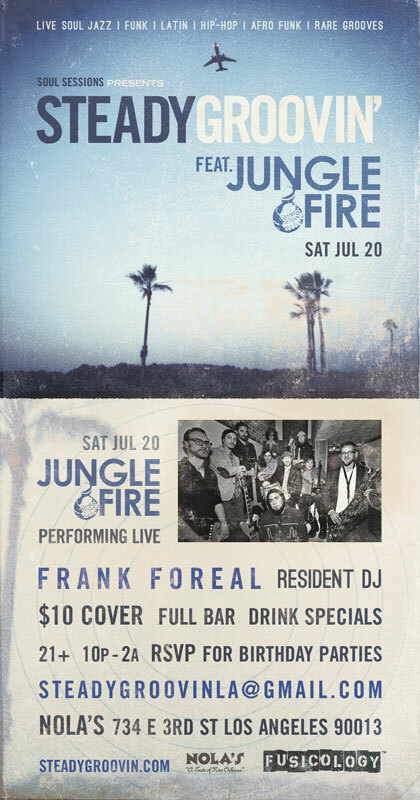 For our grand re-opening, we will feature Los Angeles super group, Jungle Fire, who have an amazing afro-latin sound that your feet cannot deny!